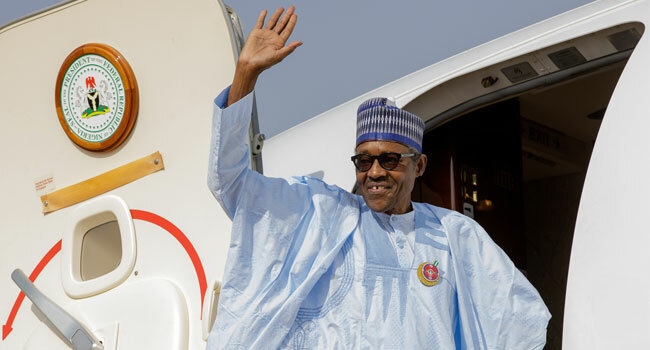 President Muhammadu Buhari has arrived in London for a 10-day working holiday. On hand to bid him farewell were the Inspector General of Police, Ibrahim Idris, the Minister of the FCT, Mohammed Bello and the Chief of Staff, Abba Kyari. While the President is away, the Vice President, Professor Yemi Osinbajo, will be in acting capacity as the President. Meanwhile, the Peoples Democratic Party (PDP), alleged that the President’s vacation is a plot to attack the National Assembly and impeach the Senate President, Dr Bukola Saraki and the deputy, Ike Ekweremadu. In a statement signed by its spokesman, Kola Ologbondiyan on Thursday, the PDP said it was aware of the ploy already perfected in a meeting, on Wednesday night, between the Presidency and some All Progressives Congress (APC) senators, who are now in the minority.